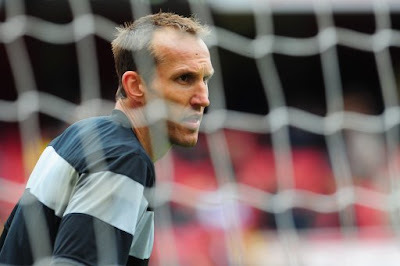 Arsenal chairman Peter Hill-Wood has confirmed that the Gunners have made Fulham keeper Mark Schwarzer their top target this summer. Chelsea have confirmed midfielder Joe Cole will leave the club when his contract expires at the end of this month - opening the way for a move to London rivals Arsenal. Tottenham, Liverpool, Manchester United, Juventus and Manchester City are all keen on Joe Cole who will become a free agent after his contract expires on June 30. Arsenal are determined not to sell Cesc Fabregas at any price - and their new club magazine proves it. France's World Cup plans have been thrown into turmoil by divisions within their squad over whether Thierry Henry should start against Urguguay tomorrow. Arsene Wenger has warned it is now or never for England to win the World Cup. Nothing would give me greater pleasure than to see England winning the World Cup. Arsene Wenger has urged Theo Walcott to use his World Cup heartache to Arsenal's benefit next season, after admitting for the first time that his player's omission from the England squad had come as a massive surprise. Arsène Wenger has described the impact of injuries on Arsenal's season as "massive".